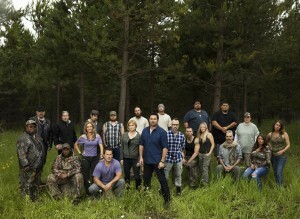 Starting on January 10, 2014, former Team Tazer member and Maine resident Michael Merchant will appear on 10 Million Dollar Bigfoot Bounty, premiering on Spike TV. 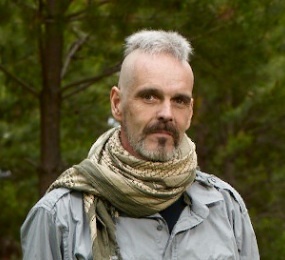 Merchant is a International Cryptozoology Museum visitor and contributor. Besides Merchant, the cast includes another Mainer, Kat McKechnie of Bowdoinham, shown here in a light green shirt and standing third from the right. Her partner in the competition, Merchant of Hampden, is sitting beside her in a grey shirt, fourth from right. Courtesy of Spike TV. In the new reality show, Michael Merchant, 50, of Hampden and Kat McKechnie, 39, of Bowdoinham will team up to compete against eight other teams for a $10 million prize. The hunt will take place in the most remote corners of the Pacific northwest, where Sasquatch sightings are most prevalent. The goal of the nine competing teams: capture Bigfoot or provide DNA and visual evidence of the creature’s existence. 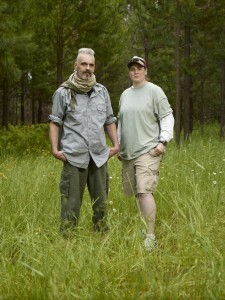 The teams are comprised of lifelong hunters of all kinds (Bigfoot, big game, ghosts, etc.). They will put their knowledge and skills to the test as they battle the elements and outwit the competition. Merchant, who studied biology at the University of Maine in Orono, has also appeared on Discovery Channel’s “Out of the Wild: Venezuela,” in which he hiked 70 miles through rugged Venezuela jungle; as well as Animal Planet’s “Infested” as a herpetology expert. McKechnie, who studied geology at the University of Maine at Fort Kent, is the co-founder of the Maine Ghost Hunters, a team of paranormal investigators that has been featured A&E Biography Channel’s My Ghost Story series. In “Bigfoot Bounty,” the teams will complete weekly challenges and lengthy hunts in famous and active Bigfoot hotspots. They will then present what evidence they’ve gathered and their theories to a judges panel made up the expedition leader Dean Cain and scientific experts Dr. Todd Disotell and Natalia Reagan. 10 Million Dollar Bigfoot Bounty is produced by Charlie Corwin’s Original Media (Swamp People, Ink Master) with Corwin, Mike Riley and Emmy Award-winner Jon Kroll (The Amazing Race, Big Brother) as Executive Producers. We wish Michael much luck on the show (which, of course, we understand is already wrapped, but unbroadcast). Michael and Kathy Villarreal, to whom he is engaged, have been friendly and involved visitors to the museum. Perhaps Michael might have an artifact from the program to add to the museum’s popular culture collection. 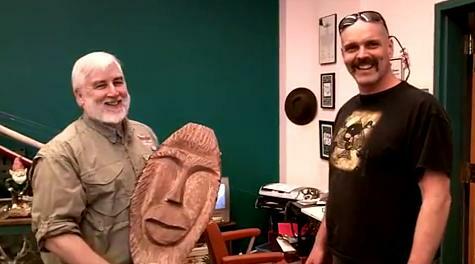 His wood carved Bigfoot is much appreciated, already. so it’s already ‘done’? Clearly nothing major happened or it would have made the news, maybe rename it to the ‘Billion Dollar Bigfoot Hunt’ since the payoff is irrelevant now. If several well-equipped teams came up with nothing, what’s it going to take? The blimp idea – I hope that doesn’t turn into a laughingstock (crashes on day one) … other than that Bigfootery seems not to be progressing much. We need another ‘blind luck’ situation ala Patterson/Gimlin or this is going to fade away like the Nessie legend has.